The Consumer Electronics Show always plays host to tech-savvy celebrities. This year is no different—the Las Vegas event has booked some big acts to go along with the gadgets. A few event veterans are returning this year, including newly hired ESPN correspondent Tim Tebow and 50 Cent. 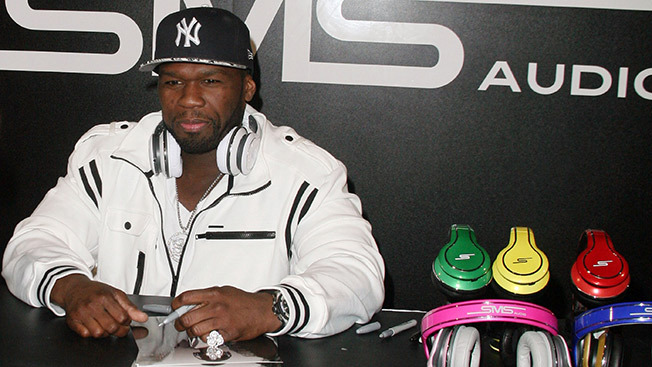 Fitty has been coming to the electronics show for years to promote SMS Audio, part of the wave of celebrity endorsements for fashionable headsets. Variety’s Breakthrough of the Year Awards will also honor a number of entertainers who made names in tech this year. Among the winners are Kristen Bell, for her Breakthrough Film of the Year of Veronica Mars, which was funded on Kickstarter. Rather than go the traditional studio route, Bell turned to the crowdfunding platform and fans chipped in to pay for production. Also, Janelle Monae, Olivia Munn and Amy Schumer are winning Breakthrough awards. Pharrell Williams—featured in the hit song Blurred Lines this year—will sign autographs at Liquipel’s booth. The celebrity electronics endorsement is a staple of the Las Vegas tech show. Justin Bieber drew thousands of fans to the expo floor in 2012 to promote dancing robots. Also, MTV’s Snooki promoted leopard print headphones. The electronics show runs throughout next week, with Yahoo CEO Marissa Mayer delivering her first keynote at the event.